A quality portable projector, like this one. The P300 Pico mini projector is great! The set-up is very easy, especially with the USB Plug ‘n Play instant set up. We chose to connect the projector to our DVD player using an HDMI cable, but you can connect it to your laptop or phone as well. Next, you’ll want to make sure everyone can hear the movie. This Ion Tailgater comes highly recommended for outdoor movie nights. It’s a #1 best-seller on Amazon and offers an amazing 50-hour rechargeable battery life, Bluetooth connectivity, and even includes a microphone. The projector has a really clear picture, so you can use areas like the garage door, side of your home, or even a DIY white blanket screen for displaying the movie. Another option is purchasing an outdoor movie screen, like thisPop-Up Portable Projection Screen. Don’t forget to pick up your copy of Early Man! From Aardman, the award-winning tribe that brought you Wallace & Gromit, Chicken Run, and Shaun the Sheep Movie, this prehistoric romp tells the epic story of Dug the caveman and his goofy friends who challenge invaders to a game of soccer in order to win back their home. Perfect for the young and young-at-heart alike, the cheerful tale told in charming, well-crafted claymation and stars Oscar®-winner Eddie Redmayne (Best Actor, The Theory of Everything, 2014; Fantastic Beasts and Where to Find Them), Tom Hiddleston (Thor: Ragnarok, Kong: Skull Island), Maisie Williams (TV’s “Game of Thrones”), as well as Timothy Spall (Sweeney Todd: The Demon Barber of Fleet Street, Harry Potter Franchise). Now that you have the outdoor movie set-up squared away, it’s time to plan the food! 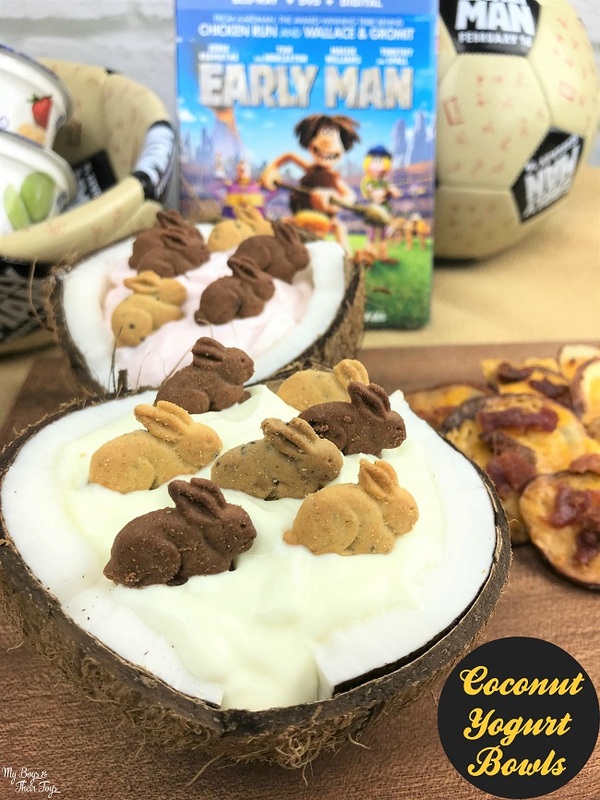 Since the caveman are rabbit hunters, I created these yogurt bowls featuring bunny snacks. Preheat oven to 400 degrees. Brush both sides of potato slices with butter and place on a cookie sheet with tinfoil. Bake in the oven for 20-35 mins (depending on thickness of the potato slices), turning once. When potatoes are lightly browned, top with cheese, bacon and green onion. Continue baking until cheese has melted. Looking for other outdoor movie night ideas? This Beauty and the Beast party was a huge hit! We even share a recipe for LeFou’s Brew – a kid favorite! 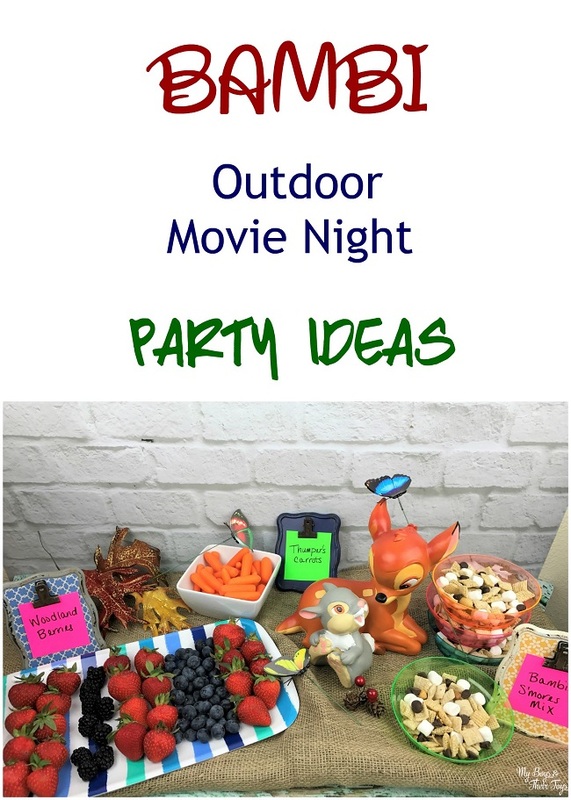 Check out other outdoor movie party ideas below. Outdoor movie nights are a great way to get outdoors this summer with friends and family! 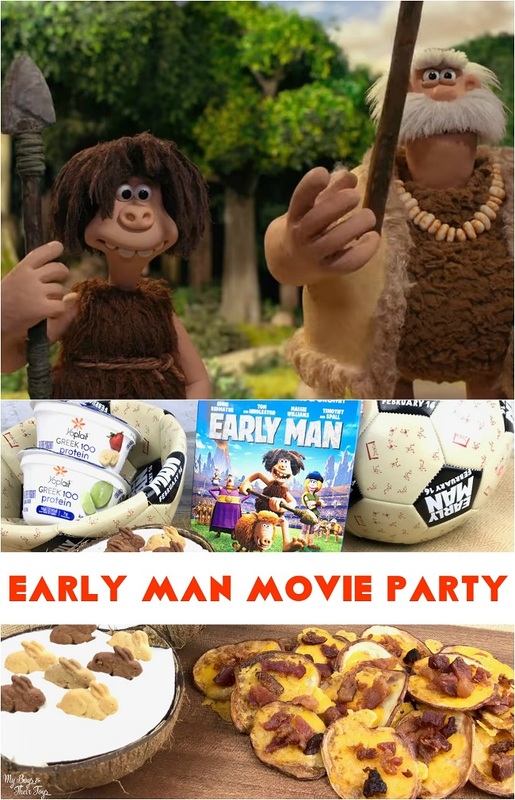 Our Early Man movie party was a success – and the kids were entertained throughout the entire movie! This are great ideas and would be so much fun. We still have not seen this movie yet. I love these ideas! The Coconut Yogurt Bowls are super cute! 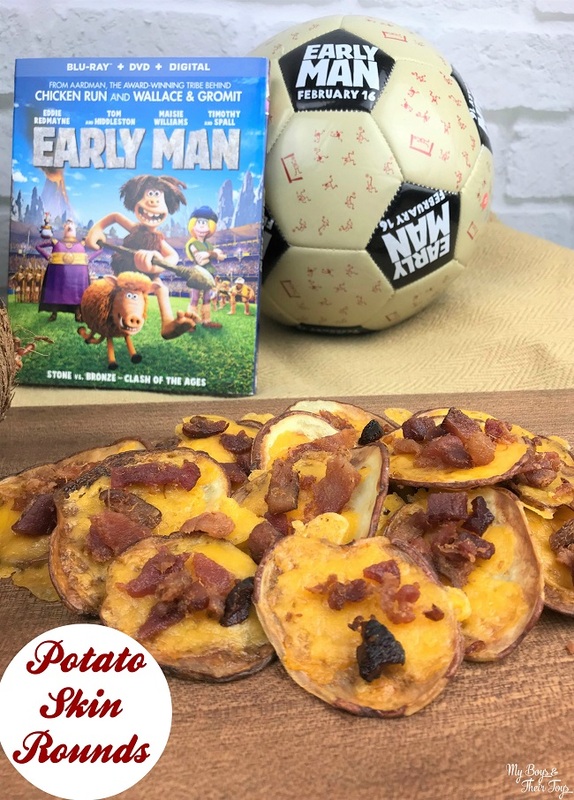 We loved the Early Man movie, and these recipes are so cute. You got to love those Annie’s bunnies. They taste great, look cute, and are made with quality ingredients. This is so good! Some of my best memories as a child was outdoor movies. This is a good one! My kids love Early man movie. i can’t wait to implement these ideas. love it! this would be great, I have the movie to watch with the grandkids and making a party out of it would be so much fun.